It stunned everyone when Evan Longoria was sent to the minors after a Spring Training in which he was considered a lock to make the team. Personally while I was surprised he hadn't made the team I didn't necessarily think it was a bad move. 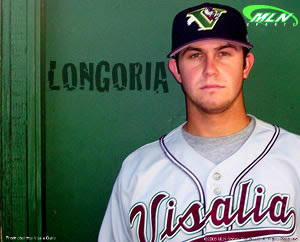 Longoria although capable had nothing to lose by spending a few weeks at Triple-A. Well now Longoria is in the major just two weeks later to replace Willy Aybar on the roster. Here's my bet that he never sees the minors again.